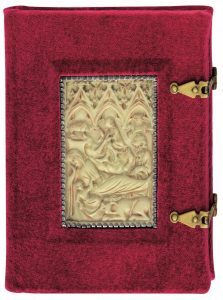 We will end our journey through the fascinating world of facsimile by discussing Ottonian and Charlemagne’s art, with some interesting examples of manuscripts belonging to these artistic fields. These books couldn’t but draw the attention of Faksimile Verlag, which again decided to do homage to those treasures from antiquity by putting on the market their beautiful facsimiles. 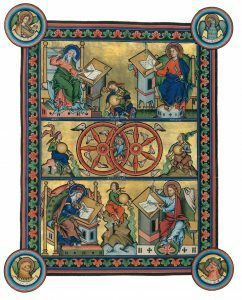 Gothic illumination is one of the finest in medieval books: that’s why it was doubtlessly worth it for Faksimile Verlag to put a great effort into the reproduction of some remarkable representatives of Gothic art. 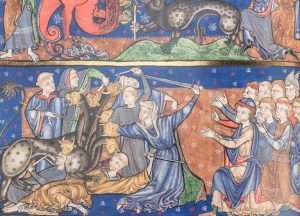 The variety of themes, influences, but also shapes of books from the Middle Ages is truly astounding. When deciding to embark on a project for a new facsimile edition, the publisher was almost spoilt for choice! 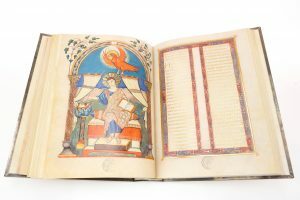 Let’s explore in detail some of the most striking manuscripts that Faksimile Verlag has chosen to reproduce! 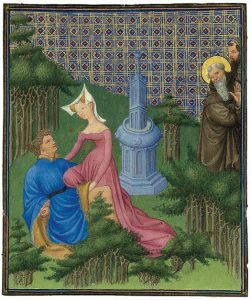 Some of the most remarkable books crafted in the Middle Ages display Flemish, Burgundian, and Biblical art. This post shows how some of the most outstanding examples of those arts were turned into exquisite facsimiles. The Duke of Berry had one of the most incredible libraries of the Middle Ages, which housed books regarded as precious gems from medieval times. 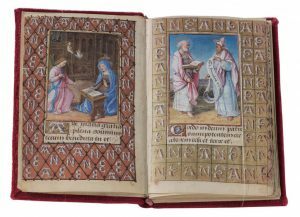 Nowadays, thanks to facsimile editions, every book lover can potentially own a part of this marvelous collection, together with other books of inestimable historical and artistic value. Want a peek? 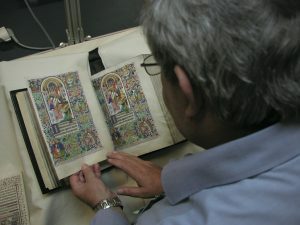 Illuminated medieval manuscripts are to be considered as real and unique treasures of the past: facsimile editions have made it possible to actually have these magnificent works of art faithfully reproduced and easily accessible, to the great delight of scholars, bibliophiles, and layman but passionate readers. 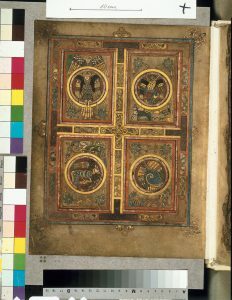 Deciding on the right binding, choosing the most appropriate paper and having a complete commentary volume written by scholars and experts are also crucial issues when making a facsimile edition. Let’s have a closer look at these matters. 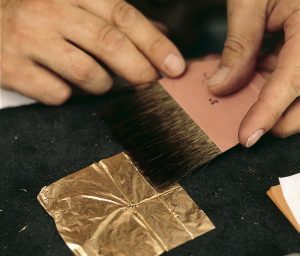 True, making a quality facsimile is a challenging process, but there is something special and even magic in seeing the sumptuous features of magnificent ancient manuscripts faithfully reproduced in a modern printed book. 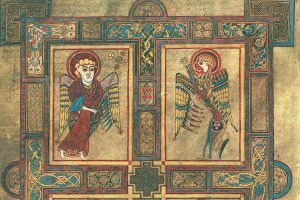 What are the modern techniques which allow the turning of a unique original illuminated manuscript into a perfect facsimile? How can a faithful to the original copy be achieved, from the use of colors to the application of gold and silver shades? Photography and digitalization made the greatest changes in the world of facsimiles. But what was the impact of technological advances in the facsimile making process? What kind of changes did they bring forth?